Clarkston and Waterford Teeth Whitening | David A. Wright D.D.S., P.C. The fact that our teeth can become discolored and stained over time due to the foods we eat is a natural process, but this doesn’t make the idea of having a set of yellowed teeth any less embarrassing. Although the color of your teeth is not a sure-fire indicator of your dental health, psychological studies have showed that patients who have a set of white, healthy-looking teeth are more inclined to take better care of their teeth in order to preserve their color. Plus, we also believe that having a dazzling smile can only do wonders to your self-confidence and mental health. 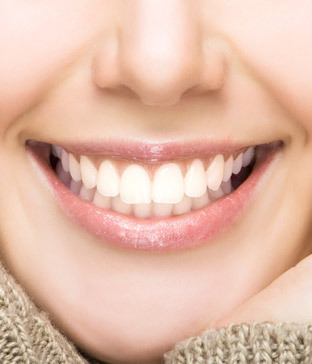 We offer services in teeth whitening in Waterford and Clarkston that can and will help improve the color of your teeth. In addition to providing an instant boost to your self-confidence and self-esteem, teeth whitening requires zero cosmetic surgery in order for you to experience dramatic, desirable results. This also means zero shots, zero extra dental appointments and zero dental anxieties. At our practice in Waterford and Clarkston, we offer patients the option of having their teeth whitened in-office or at home. A teeth whitening procedure performed in-office typically takes a single visit, and can be accomplished in as little as an hour. For the patient who would rather perform teeth whitening in the comfort of their home, we offer teeth whitening solutions that you can take home. Custom bleaching trays are filled with a small amount of whitening gel and can be inserted easily over your teeth; and worn for 30-40 minutes each day until the desired effect is achieved. We fully understand the importance of having a beautiful, healthy smile. We also believe that everyone has a right to achieving smile of their dreams. If you’re looking for a hassle-free solution that provides dramatic changes in a short space of time, you can look to us for your Clarkston and Waterford teeth whitening needs. If you need more information about Teeth Whitening in Clarkston and Waterford, contact us today.